New satellite images have revealed North Korea has significantly expanded a key long-range missile base in a remote mountainous area, despite ongoing talks this year with the US over the country's nuclear disarmament. The images, obtained by CNN, offer evidence that the Yeongjeo-dong missile base and a nearby, previously unreported site remain active and have been continually upgraded, highlighting the continuing gulf between Pyongyang and Washington's views on denuclearisation. Yeongjeo-dong has long been known to US intelligence agencies but researchers at the Middlebury Institute of International Studies at Monterey told CNN that the construction on a new facility, at Hoejung-ri, 11km away, had not previously been publicly identified. 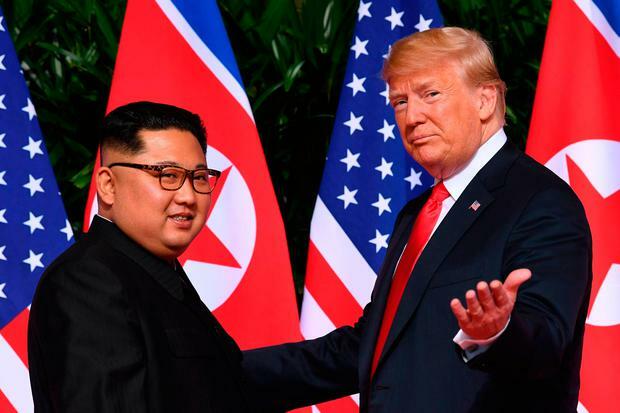 "Construction on the previously unidentified site has continued even after the Singapore summit" between Kim Jong-un and Donald Trump, the US president, in June, said the institute's Jeffrey Lewis. "Whatever Kim says about his desire for denuclearisation, North Korea continues to produce and deploy nuclear armed missiles," he added. The bases are believed to serve as shelters for mobile missile launchers, and would be able to store the country's newest long-range missiles, including those capable of carrying nuclear warheads. The news comes as North Korea's foreign minister arrived in China yesterday for the start of a hastily-arranged three-day official visit, as all sides gear up for a new round of leaders' summits aimed at solving the nuclear crisis on the Korean peninsula. Ri Yong Ho's trip was only announced on Tuesday, a few days after the Chinese president Xi Jinping held one-on-one talks with Mr Trump at the G20 summit in Argentina. The timing of Mr Ri's visit has led to speculation that North Korea's top diplomat will be briefed on Mr Xi and Mr Trump's discussions. The US president said after the meeting that Mr Xi would work with him "100pc" on North Korea. While officials declined to comment in detail on the purpose of Mr Ri's stay in Beijing, it is also expected to include the subject of a summit between Mr Xi and Mr Kim in Pyongyang. If confirmed, it would be the first visit of a Chinese president to North Korea in more than 13 years. Although Beijing is Pyongyang's single most important ally, China has also taken part in international sanctions aimed to pressure North Korea into abandoning its nuclear and missile programmes. The North officially suspended its nuclear and missile tests ahead of the June summit, and missile production and deployment does not technically violate any agreement between Pyongyang and the US and South Korea. However, the ongoing activity at the sites feeds into US criticisms that North Korea is now dragging its heels over the denuclearisation process. 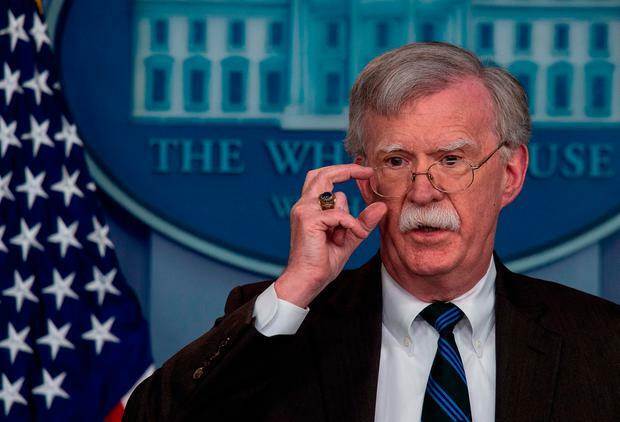 John Bolton, the US national security adviser, told the 'Wall Street Journal' earlier this week that President Trump believes he should hold a second summit with Mr Kim early next year as the North Koreans "have not lived up to the commitments" of their first deal in June. The Singapore summit, while historic in terms of who came to the table, produced a vaguely worded agreement to "build a lasting and stable peace regime" and for North Korea to "work toward complete denuclearisation of the Korean Peninsula". Several analysts expressed little surprise at the new satellite images. "North Korea isn't disarming. It never said it would. Bolton cares that it isn't. But here's the twist: Trump doesn't. He has to be well aware of these developments. He just doesn't care. Kim pretends to disarm and Trump pretends to believe him," tweeted Vipin Narang, an associate professor of political science at MIT.